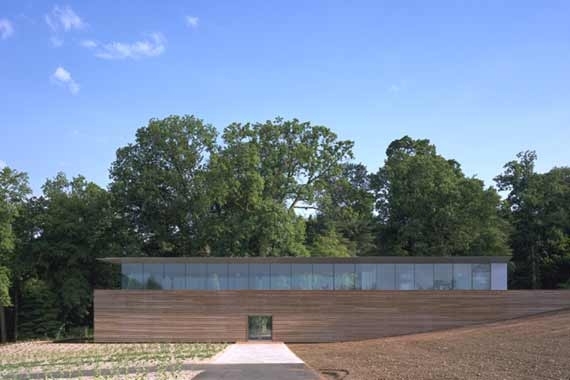 Visitors’ Centres can seem the holy grail for architects. That chance to design something without the usual constraints – there are constraints of course, as with all buildings, but there seems to be more freedom, more fun – and often the budget is a little more elastic. Where they are supporting an important piece of national heritage, like Stonehenge or Fountains Abbey, the temptation to commission and design a piece of contemporary design as a foil to the old must be irresistible. And, by and large, they work very well. 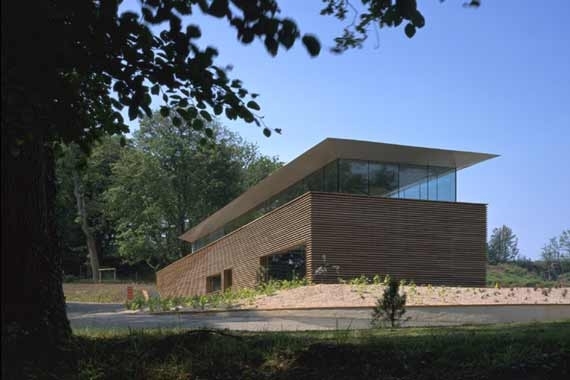 There’s a parallel here with Maggie’s Centres, where a selection of eminent architects are given the chance to express their design philosophy. Lots of glass, usually, and good, hearty English […or Scottish!] food. Sometimes a bit noisy – the pure aesthetic often leaded to stone or wood floors and the sound reverberates round the building. For many, the architects get the chance to be involved in the whole of the building’s experience, commissioning, choosing or designing the furniture as well. The complete experience for once. So Mount Stuart on Bute, wonderful though it is, can’t be said to be in the same league as Stonehenge or Fountains, though a milestone in Victoria technological design. And when it comes to the design of the Visitors’ Centre, it really is world class. Designed by the architect Alfred Munkenbeck of Munkenbeck & Marshall, this striking building was opened by Richard Attenborough in June 2001. It is an unashamedly modern building that stands in stark contrast to the Victorian Gothic splendour of Mount Stuart.